It is happening already -- you can see it now!" As we begin our new Grange year, this September, let us strive to make it an even better one than last year. Let us continue to work in our communities through our many community service projects, feeding the hungry, helping those who are in need and remembering our numerous volunteers within our towns. 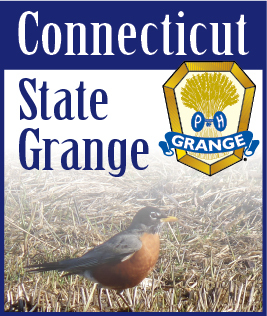 Have a great Grange year in whatever you strive to do. that it may always bring glory to You."